These days, it would seem as though you are seeing more and more people start to turn ask, What is CBD, or what is CBD Oil? Many people are looking into the long list of CBD oil benefits and wanting to provide their bodies with nutrients that help to combat common ailments. Researchers are currently testing CBD’s unique ability to help with everything from dementia to anxiety. If you’re wanting to learn more about CBD train, you’ve come to the right place. Below, you’ll discover five of the very best CBD products that are on the market today. Whether you want to enjoy CBD Oil, CBD Vape Oil or if you want to munch on yummy CBD Gummies, you’ll find the perfect product for your individual needs at CBDfx. TOP 5 CBD Products Countdown. Grab the CBD You Need Today! These are extremely popular with people who are looking for an easy, straightforward method for getting their daily dose of CBD. Like any supplement or vitamin, these capsules are consumed orally with or without water. Customers who take these capsules love the fact that they can be taken with or without food. Plus, they don’t cause stomach discomfort like some capsules that are on the market today. When you purchase them, you’ll receive a plastic bottle containing 30 individual capsules. Each capsule contains 25mg of high-quality CBD. Because each capsule contains an equal amount of CBD, users can control their dosage levels without any problems. Each capsule contains hemp oil, silicon dioxide and gelatin. There aren’t any filler ingredients or questionable chemicals. That’s because CBDfx is devoted to providing you with the most potent and pure CBD products possible. Because this product is ingested, its effects will be brought on gradually as the CBD makes its way through your digestive system. Additionally, you’ll feel the effects of CBD for several hours. Depending on whether CBD makes you feel a bit drowsy, you can decide whether you want to take your CBD capsules during the daytime or before you go to sleep. An extremely fun and easy-to-use product that allows you to enjoy small doses of CBD throughout the day. This portable, disposable vape pen is perfect for any CBD enthusiast who wants to be able to get their CBD on no matter where they are. This device looks like a standard e-cigarette, making it highly discreet. You’ll be able to keep it in the pocket of your pants throughout the day. This CBD Vape Pen provides customers with one of four delicious flavors, either mint, strawberry infused lemonade, blue raspberry or tropic mango. The subtle herbal taste of CBD complements each of these tasty flavor profiles perfectly. In addition to full spectrum, organic CBD, the CBD Vape contains propylene glycol, vegetable glycerin and natural flavors. These three ingredients can be found in any e-liquid product. Vegetable glycerin allows users to enjoy thick vapor and big clouds. Propylene glycol provides users with a pleasant hit to the throat. Each CBD Vape Pen contains 30mg of high-quality, pure CBD. Users can enjoy complete control of their dosage level by deciding how many puffs they wish to take in one sitting. Because this CBD is vaped, its effects are felt quickly and last for a shorter period. Many users find that this product is perfect because of its fast-acting ability and the fact that it can be enjoyed anywhere. The CBD Oil Tinctures at CBDfx are unlike any other tinctures that are out there today. In addition to organic, high-quality CBD, these tinctures contain MCT oil, a natural fatty acid that’s currently being researched for its potential ability to improve cognitive function while boosting energy levels throughout the body. If you want to explore the range of CBD Oil Tinctures that are available at CBDfx, the CBD Oil Tincture Bundle is the way to go. This bundle allows you to try out all three CBD Oil Tincture concentrations. This way, you can achieve the perfect dosage level based on your personal needs for each specific day. Each CBD Oil Tincture comes in a dropper bottle. To use this tincture, pour a few drops underneath your tongue. Allow the tincture to absorb into the tissue of your mouth. This will allow the CBD to enter your bloodstream within minutes so that its effects are brought on relatively quickly. The CBD Oil Tinctures from CBDfx are perfect for those who want to enjoy the potential benefits of CBD quickly and more powerfully but don’t wish to vape. These CBD Oil Tinctures are incredibly nutrient rich. If you’re a CBD enthusiast who likes to vape, the CBD Vape Oil from CBDfx will blow you away. This high-quality e-liquid is compatible with any sub-ohm vaping device. It’s infused with pure, organic CBD. Because of the nature of vaping, you’ll be able to enjoy small doses of CBD throughout the day while you treat your taste buds to astonishing flavor. The best thing about the CBD Vape Oil is that it tastes absolutely yummy. You’ll find yourself wanting to take puff after puff all day long. The inhale of most flavor options provide you with that amazing fruity taste that makes you think of happy childhood memories. The exhale is just as delicious and perfectly finishes off the flavor experience, leaving you feeling profoundly satisfied. The CBD Vape Juice products contain propylene glycol, vegetable glycerin, natural flavors as well as organic CBD. Propylene glycol allows you to enjoy a satisfying punch to the throat whenever you inhale. Vegetable glycerin provides you with lots of vapor that results in huge, thick clouds when you exhale. This vape juice comes in a 30 ml unicorn bottle. With a variety of milligram options CBD per bottle, you’ll be able to choose what’s best for you. Who doesn’t love CBD Gummies? 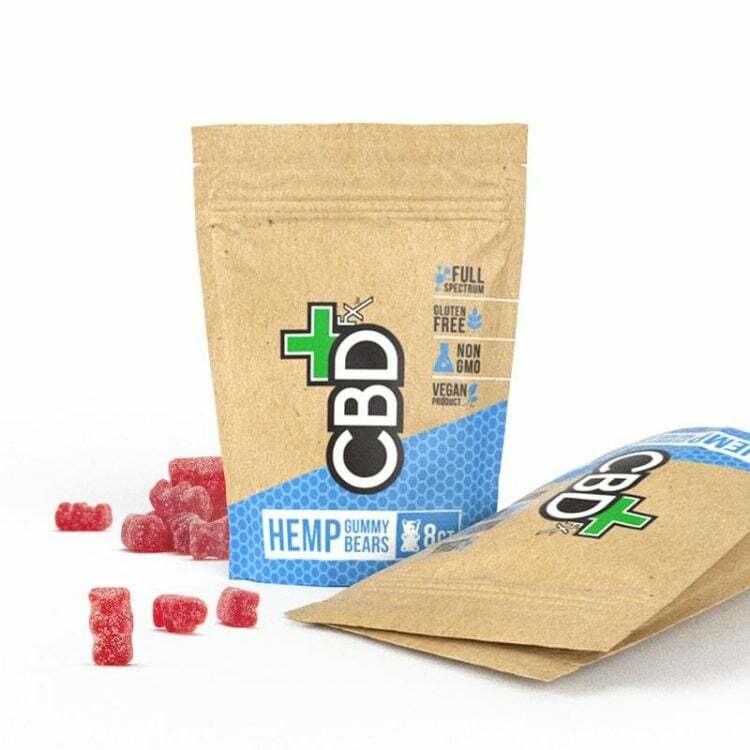 The amazingly tasty CBD Gummies in a variety of size and milligram options at CBDfx let you get your daily dose of CBD while treating yourself to scrumptious edible flavor. When you purchase the CBD Gummies, you’ll receive a nicely packaged bottle that contains 60 CBD gummy bear candies. Each gummy candy contains 5mg of organic full spectrum CBD. Many customers find that one or two each day is enough to provide the satisfaction that they’re after. However, these berry-flavored gummy candies are so tasty that you may find yourself wanting to munch on them all day long. Besides CBD, the CBD Gummies at CBDfx contain organic cane sugar, organic tapioca syrup, organic seaweed extract, natural colors and natural flavors. As you can see, these gummy candies are completely natural and totally vegan. Therefore, you can feel good about eating them in abundance throughout the day. The CBD Gummies will provide you with all of the beneficial nutrients CBD is known for. By ingesting these gummies, their effects will take longer to activate. Also, you’ll find that the effects last for up to several hours but are felt more gently. As you explore the CBD products at CBDfx, you’ll find that each product comes with its own series of laboratory results that allow you to know for certain that you’re receiving a high-quality product. Because these products are tested by an unbiased third-party laboratory, you can feel confident that the product that you’re purchasing is clean, pure and highly effective. CBDfx only uses organic CBD. This means that their CBD is extracted from organically grown hemp plants. By developing h2 relationships with organic hemp farmers, CBDfx can ensure that customers are receiving the highest quality CBD possible. Organic CBD has a significantly higher level of active ingredients than CBD that is derived from hemp plants that are not grown organically. Full spectrum CBD refers to the way in which the CBD is extracted from the cannabis plant. Unfortunately, many companies get their CBD from many different portions of the plant to save money. CBDfx, on the other hand, uses only very specific, compliant portions of the hemp plant when going through the tedious extraction process. Therefore, their CBD products boast a wider array of beneficial organic compounds. CBDfx will never try to maximize profits by diluting their CBD with questionable ingredients such as cheap fillers or harsh chemicals. Each CBD product is as pure as can be and contains only natural ingredients that don’t counteract the beneficial chemical composition of CBD. Whether you prefer to CBD Vape Oil, CBD Oil by itself, or CBD Gummies, there’s a CBD product for you at CBDfx. Best of all, each product listed above contains high-quality, organic CBD.